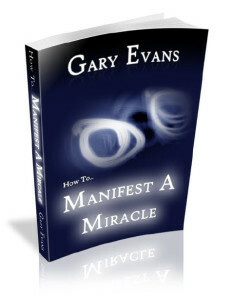 Welcome to our review of ‘How to Manifest a Miracle’ by Gary Evans. …..then this article, and the program we are referring to, is definitely for you. ‘How to Manifest a Miracle’ is a comprehensive law of attraction program by Gary Evans, which is stacked with a staggering amount of content and bonuses. Plus we shall be adding our own personal development bonus package to go with this product (see bottom of the page). At the time of writing, Gary is offering a massive discount on this product, which makes this easily affordable and well worth the investment. In the following article, we are going to provide you with an in-depth review of ‘Manifest a Miracle’. However, if you’d rather get straight to the official website, then click on the link below. Please note: This law of attraction program is not to be confused with ‘Manifestation Miracle‘ by Heather Matthews. That is a separate product which we do plan to review at a later date. If you are not familiar with the law of attraction, then these videos will show you the fantastic success that people have had by introducing this into their lives. Is the Law of Attraction hyped up to be a miraculous force that can yield anything to you by just thinking about it? Or is there something much deeper going on? Because our reviews are always so detailed (this one is over 5000 words long), you might just want to get an idea of what’s in the product. That is what this first section of the article will give you. Here, we are only going to summarise what you get. For more details of each of the components of the course, plus all of the bonuses, read the full review below this summary. Manifest a Miracle eBook (71 Page pdf). Manifest a Miracle audio version (24 tracks = 1hr 30 mins). Manifest a Miracle pdf work-book (17 page pdf). Manifest a Miracle pdf work-sheets (4 page pdf). Manifestation Mastery video course – 18 videos (nearly 4 hours’ worth of video training). Think and Grow Rich Written Statement Help Sheet (2 page pdf). 11 personal development products (see images on the right, throughout this article). As always, we like to add to your product purchase. 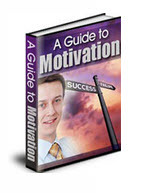 Once again we are offering our mega-bonus of 66 personal development eBooks (see details at the bottom of this page). 2265 pages of personal growth material. Every personal development topic is covered in these 66 books. That completes the high-level summary of the product and bonuses. Keep reading if you want to know the real details of this comprehensive law of attraction product, or click on the banner image below to get started immediately. We are now going to go through each chapter of the main guide. The guide is also transcribed into 23 audio tracks. Gary Evans, the author of the program, gives a brief introduction and explains that this program is about activating the hidden powers that lay dormant in many of us. Evans tells us about his experience in the self-development world. He explains the power of asking the question “Why”. When you keep digging the answer will ALWAYS be attracted to you – no matter what the question is. Gary goes onto advise us how he was influenced by the classic ‘Think and Grow Rich’ book by Napoleon Hill (which we are giving away for free as part of our mega-bonus). Gary explains that manifestations “came pouring in” after he read the book (3 times) and started following Hill’s advice. He then lists others who have influenced him, such as: Abraham Hicks, Eckhart Tolle, Wayne Dyer, Joe Vitale & Bob Proctor. Finally, Gary explains what must occur in order for abundance to flow into your life. He actually says what this ‘secret ingredient’ is in one line. Of course this ‘secret’ is much easier said than done…..that is until you go through the course, THEN it becomes a whole lot easier. If you have worked in the corporate world, perhaps struggling to understand the purpose of your life, you will really resonate with this chapter. Gary’s story is very inspiring, as he explains how he started visualizing, meditating and creating personal mission statements to nudge the universe into action. Ever wanted that dream girl or boy? Then read this chapter to see what can really be achieved. 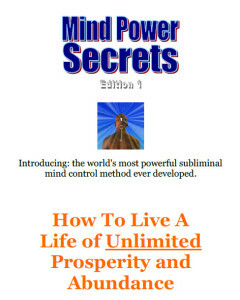 In this chapter of the book, there is a manifesting tip bonus. This will help you align yourself with whatever it is that you desire. This tip is not read out in the audio version for reasons which will become apparent when you see the book. This is just an explanatory page looking at a couple of manifestation terms such as ‘source energy’ and ‘vibration’. These are terms which are used throughout the program, so it’s worth understanding what these mean ‘up front’. 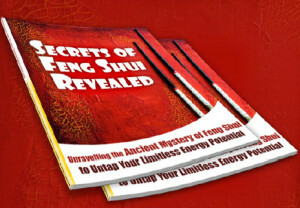 The whole of this study course assumes a basic understanding of the law of attraction. However, for those that are not too familiar with the term, this short chapter does an excellent job of bringing everyone’s knowledge up to speed. Gary provides a brilliant example of how whatever you give your attention to you will attract more of. That is the law of attraction ‘in action’. Gary then explains that it is not actually your thoughts that have the attraction power, but one other ingredient that actually is the key to success. Finally, you are provided with a top manifestation tip. The absence of this is where many people fall down when trying to manifest something into their lives. This manifestation tip is not in the audio version; it’s just in the book. The author then explains how easy it is to feel down about life (something that we can all relate too). This only produces negative vibrations, which makes matters worse. Have you ever said “There’s a really bad vibe in here”? Gary explains what this is all about in this chapter, using the electromagnetic spectrum to emphasise what we can and can’t see. Vibrations are happening all around us and we are part of those vibrations….. but we can only actually see a small portion of the spectrum. This is a key point to understand and certainly is more advanced than anything spoken about in the movie “The Secret“. If you want to know what vibrations YOU are putting out to the universe, Gary has a great ‘scientific’ way that you can tell. There is also another top manifesting tip in this chapter (not in the audio version), which is well worth taking on board. Good question…… On the flip side, if you are responsible for everything in your life, then why would you manifest things that you do not want? Why would you do that to yourself? This chapter answers both of these questions and provides examples to explain this further. If you are looking to manifest money, then this chapter should make you feel a lot more confident about realising that dream. Don’t think that these methods for manifesting are difficult, or that there must be some secret ingredient to success. The methods are easy and there is no secret. This chapter introduces you to the simple concepts and shows you how you can easily start this straight away. There is a big problem for many people when they sit down to think about how to manifest something….. They don’t actually know what is it that they really want. It sounds crazy but it is true. This chapter tells you a sure-fire way to find out what it is that you REALLY want from life. And it walks you through a really fun process step-by-step. The author then provides an example to make the process even easier to understand. By completing the work-book, you will have a very clear idea on what it is that you want from life. And THAT is a major step in actually attaining it. Get creative and design the life of your dreams. The key to successful manifestation is to create a routine that makes you feel good, even when things aren’t going so well. Gary introduces this concept here and also hints at his daily routine, which he expands upon later in the book. In this short chapter, Gary explains the idea of miracle magnets. These help you get in alignment with your desires and boost the power of your attraction abilities. They are discussed in the following chapters. Do not underestimate the power of meditation. Do not think of meditation as just a waste of time with you sitting there doing nothing. Meditation is a very powerful process. Meditation allows you to release all of your worries. When you do that there is more room for positive thoughts. Positive thoughts lead to positive vibrations. Positive vibrations lead to a greater chance of you manifesting what it is that you desire. Evans recommends transcendental meditation and tells you how you should meditate. In the audio version, Gary makes reference to a 5-part video series on how to meditate. The links to these videos are in the Manifestation Mastery video course pdf. Many people’s minds are too active to be able to meditate effectively. Gary has an excellent tip to help you calm your mind. Transcendental Meditation Technique – A Complete Introduction. The attitude of gratitude is another powerful process that should not be overlooked. Gary gives some excellent ‘starter phrases’ for appreciation. Evans also explains the differences between gratitude and appreciation…. and there are some fundamental differences that you should be aware of. You are also provided with a link to Esther Hicks explaining these differences. He then goes through his own morning appreciation routine – step-by-step. Gary explains what feel good statements. He likens them to Napoleon Hill’s auto-suggestion process and also what Bob Proctor teaches. Effectively they are affirmations. Evans provides several feel good statement examples, so you just have to fill in the blanks (as Joe Vitale would say). Gary produces the best affirmation examples that we’ve ever seen. He really brings affirmations to life with colorful language and we can see how they would be very effective (we are certainly going to change our approach to affirmations after reading this chapter alone). Finally, Gary provides 2 excellent ideas on how you can incorporate your feel good statements into your day (one of these ideas we’d never even heard of before). There is another manifesting top tip at the end of this chapter. This chapter starts off talking about John Assaraf’s appearance in the movie “The Secret” and in particular his success with vision boards. Gary goes onto talk about his own vision boards. He tells you how you can easily produce a vision board and provides ideas on where the optimum place is for your vision board. Pets bring out the love in us. As Gary Evans says, “When you are petting your cat or playing with your dog you are in a state of joy, happiness, love and appreciation”. You should, by now, understand the reason why this is important in order for you to manifest what it is that you want. Connect with nature wherever you are in the world and this will undoubtedly raise your spirits. Gary provides an excellent example of a perceived bad situation and flips this to show you can appreciate that same situation. Once again there is a top manifesting tip at the end of this chapter. Music is an excellent mood enhancer. However, there are two vital elements about music that you MUST be aware of. Gary points these out in this chapter of the book. This is a brilliant way to instantly make you feel good. It’s not just normal visualizing. Gary provides an excellent example of his own, plus another example which he has taken from ‘Ask and it is Given’ by Abraham-Hicks. We are not going to give the game away here. However, it is a chapter that you are going to want to read when you get the program. There is a link to some guided virtual reality sessions for those people who might struggle to visualize their own scenarios. We can also provide some visualization help. There is another top manifesting tip in this chapter. Scripting is a little known law of attraction process, which can really bring your manifestation desires to life. The author provides some neat little tricks to really get the most out of this process. He also provides a real life experience of his own. This is another process which will help with the law of attraction. The great thing about this particular process is that you can implement it irrespective of whether you are feeling good or bad. Once again, you are given step-by-step instructions for this very powerful technique and this time, Gary provides 3 examples. This is a process that we’ve never tried before but we are confident that it is an instant mind changer. So confident, in fact, that we are introducing this into our own daily routines. This is the last of the innovative processes. This time we take a good situation and ramp up the feel-good factor using this brilliant process. Of course, the idea of doing this is to improve our vibrational levels even more. This, in turn, will increase our likelihood of manifesting an even better life. It’s the snow-ball effect. This process can be done at any time. Gary Evans takes us through the process with 2 everyday objects to show how easy and effective the process is. Gary summarizes some of the other things that helps him create the ‘feel-good factor’, before detailing his full day and how he incorporates his own law of attraction magnets deliberately into his life. There are easily enough tools here for you to pick and choose different ones each day. You don’t have to be rigid in your approach, you can be flexible. Gary helpfully provides social media contact pages and his website address for anyone who wishes to get in contact with him. We get the impression that he really does want to see others succeed and is on hand to help. This 17 page book is stacked with action taking content. In some ways it’s the best part of the course because it will have you taking steps in the right direction. There is a question and answer session to ensure that you have understood the main part of the course. Creating Miracle Magnets and your own morning and evening feel good routines are in the next part of the work-book. Finally, there is a schedule to help you put this all together. This will help you STICK to your routine (a common failure point for those not seeing success with the law of attraction). Just like the work-book, the worksheets are designed to put into practice the tools learnt in the main guide. A template for an appreciation diary. A template and guide to create your own feel good statements. A template for designing your book of positive aspects. This simple 2 page pdf will help you design your own written statement. There are 6 elements, each getting you to think about what you actually want in your statement. Please do not overlook this simple exercise. It is your declaration to the universe what you want to happen in your life. Until you’ve written it down then your dreams are just that…. DREAMS!!! Each of the stages are broken down into further steps and each of these steps has a video. Links in the PDF go directly to the training videos. The Manifestation Mastery E-Course consists of nearly 4 hours of video presentations which are split into 14 separate videos. Video 1: What Do You Really, Really Want? This video is about identifying your dreams and desires. Is it money that you REALLY want, or is it what money can do for you that’s the real ‘button pusher’? You’ll also learn how to make your own desires list and also how you can get more detail into these desires. Making a list does sound boring. However, this is a vital step in making your dreams come true. Do you actually have a burning desire, or are you happy to drift through life with some vague wishes about the future? This video will help you find that out and also shows you the 6 steps required to turn those burning desires into physical reality. With this video you also get 5 PDFs covering those above areas. They are worksheets to prompt you into taking the necessary action. Please be assured that this isn’t like some boring ‘school task’. Completing this exercise is actually quite exciting. It’s your life – have fun designing it!! In this video we look at why deliberate manifestation is not easy (actually it is). Gary gives us the 3 steps required for successful manifestation. We then look at the 2 methods of getting into alignment with your desires. This is a crucial step which is mostly overlooked by people who are trying to manifest. To get the law of attraction to work FOR you, you must feel good. And you must be consistent. It’s no good being on a roller-coaster. Therefore, you need to get into a routine of feeling good. It must become a change of life-style. Feeling good shouldn’t be a chore; this is something you should want to do. Gary provides some examples of routines that you can incorporate into your life. Are you currently doing 30 minutes of personal development in the morning and 30 minutes in the evening? You’ll find out why this won’t work. Gary then provides his own manifesting routine. You can have a ‘day off’ BUT only under certain circumstances. Finally, we learn what should be in your feel good routine. You emotions, feelings and vibrations relate to what you are going to attract. Why do we have emotions? Gary explains how our emotions play a big part in what’s coming to us. We have 2 categories of emotion (Good and bad) and each category is split into sub-sections. Emotions are not to be confused with our vibrations. Gary explains the difference. 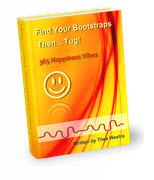 The author then explains how we can instantly change our vibrations. At the end of this module, Evans provides another example of a feel good routine (carrying on from the module 5). He tells us what it is and why it benefits us – both physically and mentally. Your mind is just your ego. You need to go beyond that to find the true you. Gary provides a list of benefits – some of which will be a surprise to many people. Ultimately meditation will leave you feeling good. Feeling good opens you up to have the law of attraction working for you. Gary provides a series of 5 videos which covers this subject. You’ll then hear about guided meditations and why they are helpful to anyone who is new to meditation. Gary provides links to free guided meditation resources. This module also covers the optimum times to meditate. Visualization is one of the largest modules in this manifestation course and for good reason. Effective visualization makes use of all of your senses. You do need to practise visualization and we do have tips on this website. What has this got to do with manifestations? Is there a link with our energy fields? Can you visualize on more than one area of your life at a time? Gary also questions the thoughts of Mike Dooley (from The Secret). Do thoughts really become things? Everything is answered in this module. There are different methods of visualization. You have to find the one that’s going to move your emotions the most. Gary provides 2 processes that you can try. There are some additional notes on virtual reality (a 3 page pdf) and a link to another article on using neuro-linguistic programming (a way of manipulating the words that you use). This is the first of 2 videos on vision boards. We already have our own articles about vision boards and talk about John Assaraf’s vision board pack. The first part of this video, Evans talks about the basics of vision boards (also known as a dream board, or a manifestation poster). He goes onto explain how the vision board helped Assaraf to manifest his home. Why would you want a vision board? How do you go about creating one? How does a vision board fit in with visualization? (Gary provides a 4-step process). Where should you put your vision board? When should you look at your vision board? In this video, the author explains how you can find images from the internet to put on your dream-board. He gives more ideas for people who don’t want to print their individual images out. Affirmations are another topic that we cover on this site. However, Gary has a very interesting and original approach to the topic. Can what you say (affirm) really influence your outcome? How can you counter negative beliefs in your mind? Is it possible to reshape your beliefs? These are just some of the questions which are answered in this module. Gary looks at a famous Bob Proctor affirmation and explains why it probably won’t work for you. However, you will learn the four “P’s” needed for the perfect affirmation. In this module, you’ll also review the lists you prepared in the first 3 modules of this course and start to fit everything together. Gary provides excellent affirmation examples. They really help to bring affirmations to life. He walks you through building an affirmation from scratch, based on the things that you DON’T want. Gary Evans provides a fantastic ‘trick’ to help you get over your resistance and doubt about what you are saying. This is a morjor problam for most people attempting affirmations for the first time. Evans also provides his contact details, should you require help with constructing your affirmations. Listen to them using audio. Whilst that might sound obvious, the author provides some brilliant key tips to enable you to get the most out of affirmations. Without these ideas, affirmations are worthless and a waste of time (HINT: Auto-suggestion is the key). You could also mask the statements within an audio track, using computer software (which we highly recommend). To learn more about affirmations, you might want to read “What to say when you talk to yourself” by Shad Helmstetter. Again, Evans provides some useful guidance on when best to read your affirmations. Finally in this module, Gary provides a simple, yet brilliant, method for making yourself accountable for sticking to your affirmations. This will greatly increase your chances of reviewing your affirmations on a daily basis, and therefore seeing success with them. Module 12 actually comes in 4 separate parts, because Gary actually goes into quite some depth on how to produce your affirmations in audio format, using free software. This video shows you how to download the free software. The next stage looks at how you can actually record your affirmation statements. Video 3 looks at saving and exporting your audio affirmation file. In this final video of this mini-series, the author looks at where you can find royalty free music and how you can add this as background music, using the software. Appreciation and gratitude are not the same thing. Gary explains the differences. At the start of this video we learn what Oprah Winfrey thinks about keeping a gratitude diary. Gary also shares with us Rhonda Byrne’s (Author of “The Secret”) and his own feel good ‘appreciation process’. Esther & Jerry Hicks have a great video with a powerful message which Gary links to, and we have it embedded below. In this final video, Gary looks at the secret to manifesting your desires. Mini miracles do happen when you start to feel good. Like attracts like, but you must be consistent with these feelings. Abraham-Hicks and Joe Vitale both stress the importance of feeling good and getting into alignment to make the law of attraction work for you. The author obviously goes into detail on each of these 3 processes. Gary finishes recommending 2 books that are a MUST READ for anyone wanting to take manifesting to the next level (one of these books we actually provide free as part of the Successful Personal Growth bonus package that you’ll get if you purchase today through our link – see below). In total there are 11 bonus products provided by Gary with Manifest a Miracle (see images of these books throughout this article). 1. 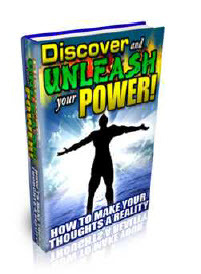 Discover and Unleash Your Power! How to make your thoughts a reality. 1 hr 15 mins audio. 2. Energy Unlimited. Building energy amidst stress and anxiety. 3. Subconscious Programming for Maximum Results. 1 hr 20 mins audio. 4. A Guide to Motivation. 5. The Secrets of Feng Shui. 6. How to Master Your Memory. 7. 7 Day Psychic Development Course” by Jeffry R. Palmer, Ph.D.
8. Judo for the Soul (The Art of Psychic Self Defense) by Dr. Jeffry R. Palmer, Ph.D.
9. Embracing the Infinite (Spiritual Health, Psychic Abilities and the Energy of Thought) by Jeffry R. Palmer, Ph.D.
10. Forward Steps – 365 Happiness Vibes. How to live a life of unlimited prosperity and abundance. Introducing the world’s most powerful subliminal mind control method ever developed. As if you weren’t getting enough, we are also going to provide 66 personal development books if you purchase today through one of the links on this page. We can’t guarantee that we shall keep this offer open forever, so take advantage now whilst we are still feeling generous. Click on this link taking you through to the official “Manifest a Miracle” website. Click here to see the 66 books we are giving away. We have reviewed some excellent law of attraction programs in the past couple of months and they all seem to get better and better. We can confidently say that Gary Evans has the most comprehensive teaching of the law of attraction that you will find (forget The Secret, this is miles better). He teaches the law of attraction (manifestation) in a practical way that we can all follow, use, and see success from. If you don’t ‘get’ the law of attraction after going through this program then you are never going to understand it. It’s all here; it’s just a case of how far you want to go with it. ← Previous Previous post: Who is the Best Personal Development Coach?